DDLEBURY, Ind. — With its fuel economy pegged at an estimated 17 to 19 miles per gallon, Coachmen's newest Freelander Class C motorhome gets best in class mileage while retailing at an unbelievably affordable price. 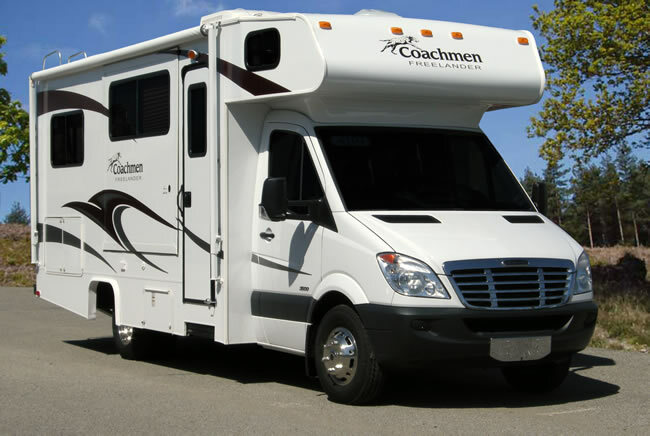 Coachmen builds the Freelander 2100 CB on a Freightliner Sprinter chassis. The aerodynamic front end design and the efficient Mercedes 3.0 L V-6 turbo diesel engine are credited for the estimated 17 to 19 mpg. The MSRP on the Freelander 2100 starts around $89,000. Freelander 2100's length is just under 25 feet, making the coach very maneuverable. The vehicle size and the comfortable cockpit create a driving sensation similar to an automobile or SUV. Coachmen designers packed a ton of features into this smart floorplan. On the outside the Freelander 2100 has a class leading 78 cubic feet of exterior storage accessed with large side swing doors. Step inside and you can comfortably sleep six — two in the master bed, two in the cabover bunk and two on the convertible U dinette. Coachmen also fitted the cabover bunk with a safety net to prevent falls. The galley features an aluminum sink with a high spout faucet that makes it easy to fill larger pots with water. It has a microwave oven as well as a range and oven and plenty of storage. A bench separates the galley countertop from the driver's seat in the cockpit. When the bench is not in use, the countertop can expand two additional feet with a pullout extension. As always, Coachmen designers have ensured there is extensive interior storage. The U-dinette in the living area slideout, makes this coach even more spacious. Adding to the roomy feel is the tall seven-foot ceilings and large windows throughout that let in plenty of natural light. A 19-inch LCD HD-ready television is mounted on the wall across from the U dinette. Freelander 2100 has its own bathroom with a tub/shower, a sink and a porcelain toilet. Because it is so fuel efficient, functional, and affordable, the Coachmen Freelander 2100 is the perfect coach for couples or young families who want to enjoy the RV lifestyle. Coachmen Industries, Inc. is one of America's leading manufacturers of recreational vehicles, systems-built homes and commercial buildings, with prominent subsidiaries in each industry. 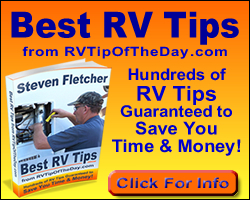 The Company's well-known RV brand names include COACHMEN®, GEORGIE BOY™, SPORTSCOACH®, ADRENALINE™ and VIKING®.